It is a requirement of your Agreement, that the goods are protected against Theft and Accidental Damage. We can arrange Theft & Accidental Damage Cover for £0.70 per week. It is a requirement that products purchased on a credit agreement are insured. We can offer Theft and Accidental Damage Cover for £0.70 per week. 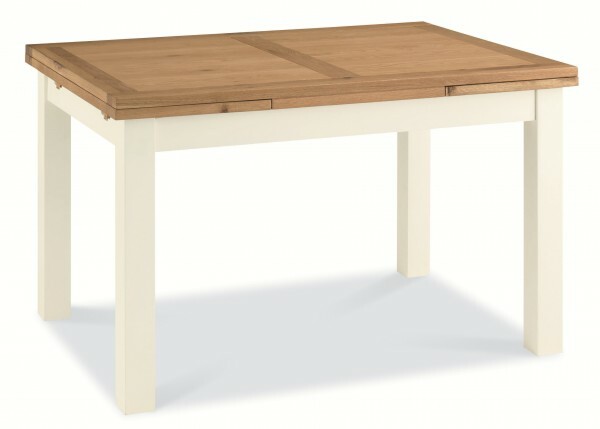 Invite all the family around with this beautifully crafted expandable table and extend the table from a 4-seater to a 6-seater in a matter of minutes. With an Oak finished top and light legs, it’s bound to ooze with elegance in your home.